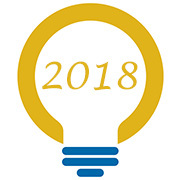 Batavia, NY - The Genesee Community College Undergraduate Research & Creative Activities (CURCA) Committee is excited to invite the entire college community to celebrate the outstanding accomplishments of our students at the third annual Scholars Symposium – a celebration of inquiry and scholarship. GCC students and faculty pour countless hours and precise attention to their work. As a result, our academic year is full of achievement. On Thursday, March 29, 2018, from 8:30 a.m. to 2:30 p.m., students, faculty, staff, community leaders and friends, will gather at the symposium to educate and demonstrate their scholarly achievements which transcend all disciplines. The presentations, poster exhibits and performances provide an opportunity to expand horizons, hone presentation skills and engage our collective brain power for all to enjoy and to appreciate. The entire event is free and open to the public. Noon – 1:00 p.m.: Symposium participants, judges and mentors will enjoy a private lunch in T119A/B (RSVP required). Noon – 1:00 p.m.: Guests are invited to visit various art exhibits in the Steiner Theatre Lobby; Media Center of the Alfred C. O’Connell Library; and Penumbra Exhibition Space – second floor hallway between B205 and B207. The symposium will include keynote speaker, Deborah Nawoczenski PT, PHD. to address the benefits of being involved in research. Nawoczenski received her BS in Physical Therapy and Master’s in Education from Temple University in Philadelphia. She completed her PhD work at the University of Iowa with a specialization in Exercise Science and Biomechanics. 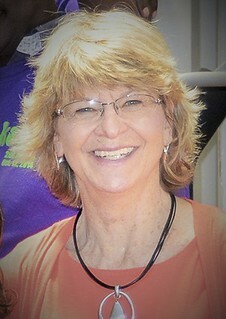 Nawoczenski was a full-time faculty member in the Department of Physical Therapy at Ithaca College’s Rochester Center for 21 years. She co-founded (with Dr. Judy Baumhauer from the University of Rochester) the Center for Foot and Ankle Research at Ithaca’s Rochester Center, and also was co-director of the Movement Analysis Laboratory. Throughout her career, Nawoczenski’s research focus was directed to the study of foot and ankle pathologies and to the analysis of shoulder pain in people with spinal cord injuries. This work was funded through a number of different organizations including the American Orthopedic Foot and Ankle Society, the National Institutes of Health, the Arthritis Foundation and the Christopher and Dana Reeves Foundation and has led to more than 60 publications in major peer-reviewed journals. Nawoczenski considers herself privileged to volunteer as a Physical Therapist in this country as well as in Jamaica and Poland. She recently served as a visiting professor in Kenya, India and Brazil. Her presentation at the Scholars Symposium will center on her own path to research and publishing and how others can enrich their lives through scholarly endeavor. The Symposium will feature GCC’s student Collaborative Online International Learning (COIL) projects in Photographic Exhibitions on display in the Alfred C. O’Connell Library, the Penumbra Exhibition Space (second floor hallway between B205 and B207), and the lobby of the Stuart Steiner Theatre. Under the leadership of the COIL Center, the Latin American Academy (LAA) has developed and implemented course-based partnerships between SUNY GCC and universities in Latin America, which are members of the growing Global Partnership Network (GPN). The team-taught courses use technology to expose students in different countries to each other’s cultures resulting in an enriched intercultural learning experience. The course-based partnerships emphasize experiential and collaborative student learning and help sustain long-term international teaching and learning partnerships. The 2019 Scholars’ Symposium has been scheduled for April 11, 2019. For further information on the Scholars’ Symposium, visit: www.genesee.edu/home/events/scholars-symposium/ and please contact Director of English, Communications and Media Arts JoNelle Toriseva at jrtoriseva@genesee.edu or at (585) 343-0055 ext. 6627 with any questions.